Build more muscle and you'll keep your body burning fat all day long. 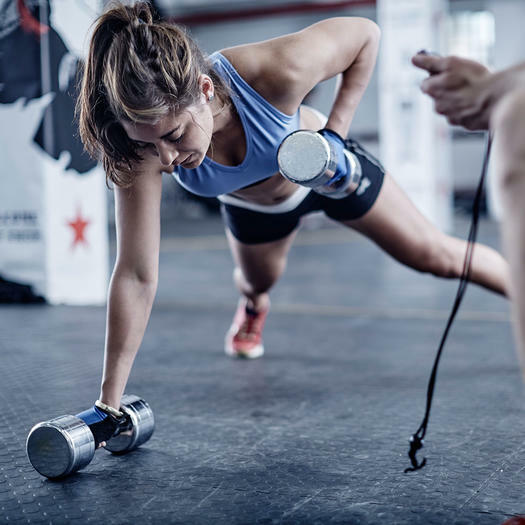 "Lifting weights can increase your lean body mass, which increases the number of overall calories you burn during the day," says the American Council on Exercise. Burning extra calories post-workout plus building muscle? That's the surefire way to get the body you want. No disrespect to cardio, but if you want to blast fat, get in shape, and rock everything that comes your way—both in and out of the gym—strength training is where it's at. And experts agree: Heavy lifting is in! But why? And should you try it if you're already happy with your current workout routine? Check out this article of the eleven benefits of lifting weights this will convince you to pick up the heavier dumbells. This is why YS highly recommends adding weight training to your weekly schedule. All our fitness staff is highly skilled and committed to making a difference! Please do not hesitate to ask for assistance in finding the right class or weighs appropriate for you. Laura Goldstein will be starting a beginner lifting class which will teach you the proper weights and exercises to get you started if you feel you need to get some help starting or you want to take your lifting to the next level. Laura is a professional body builder who has been committed to fitness and been in the industry her whole life.